Sukriti Group is one of the reputed and established Real Estate Developers, Organizers and Builders in Lucknow. The Sukriti Group has created a niche in the real estate industry over a period of three decades.Our goal is to deliver value through innovation. We benchmark our best practices, pay attention to lessons learned and constantly challenge ourselves to do better. From materials and construction methods to management techniques and information systems, we always seek new and better ways to help our customers achieve their goals.Since its inception, Sukriti Group has been recognized for its emphasis on excellence in quality, service, delivery, value, sustainability, teamwork and safety. A testament to Sukriti work and focus on excellence is the number of clients that have repeatedly returned, representing more than 80% of our work. 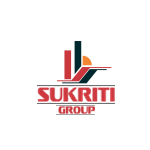 Sukriti Group is a progressive and dynamic commercial construction company providing the highest level of service to clients across all sectors of construction. With expertise in design and construct, construction management and conventional tendering, Sukriti Group has experienced solid and steady growth.